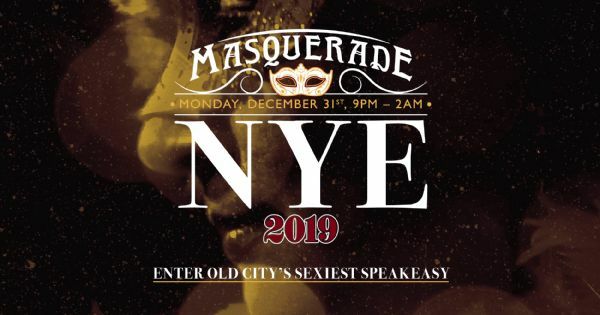 Includes admission to the event and Open Bar until 1am, plus complimentary hors d'oeuvres, champagne toast at midnight, entertainment (Burlesque & DJ), and more! Open Bar ends at 1am. This ticket does not include seating. Infusion Lounge and Envoûté: Magic Burlesque invite you to a night of mystery and music as we unmask 2019. Enter Old City’s sexiest speakeasy specializing in craft cocktails, luxury spirits and more than 60 whiskeys. All guests receive a complimentary masquerade mask upon entry, or make and bring your own for a personal touch. Enjoy the open bar (ends at 1am), and enjoy complimentary hors d'oeuvres all night. Dance to music by DJ Petey Poblow, and start the new year off right with a complimentary champagne toast at midnight. Jaw dropping performances by Envoûté burlesque dancers Vivi Noir, Bugalu Boogie, Cameron Catastrophe & Foxworth Vorn will entice and entertain you. The live broadcast of the ball dropping will be projected on our three big screens so you can celebrate with our friends in Time Square. *Table reservation required for guaranteed seating. Exclusive Platinum Packages available. A reserved table in the whiskey lounge with seating for up to 8 people. A reserved table in the whiskey lounge with seating for up to 6 people. A reserved high top table with seating for up to 3 people. View More Events Organized by Infusion Lounge. This event is organized by Infusion Lounge.